When they are healthy, your teeth can last a lifetime. Unfortunately, it is not always possible to avoid dental damage. Whether your tooth suffered an unexpected break or severe decay, a dental crown can be used to restore the tooth back to its natural strength, health and appearance. Crowns are used when the area of tooth damage is too large for a simple filling or an inlay/onlay to properly repair. As part of our dental services at ConfiDenT, we are known for providing remarkable, long-lasting results using custom dental crowns. Whether you’ve suffered an extensive area of decay or experienced a dental-related trauma, if the structures of your tooth become notably cracked or damaged, it can compromise your oral health. It is important to have this treated promptly. Without the necessary layers of tooth structure intact, the tooth is more susceptible to bacterial invasion, decay and infection. In order to restore the integrity of the tooth and protect your dental health going forward, a crown is placed on the affected tooth. A crown is often considered as a dental “cap” that encases all visible surfaces of the tooth. 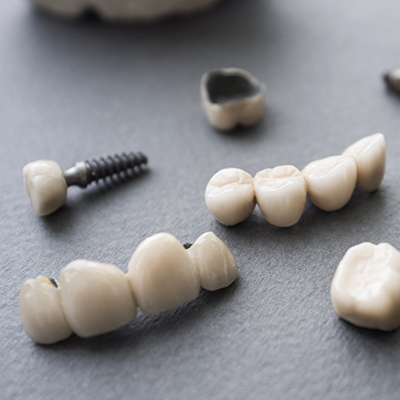 At ConfiDenT, we offer a variety of materials for custom crowns, including porcelain, zirconia, ceramic and gold. It is important to us that we address your unique clinical needs as well as meet your personal budget and preferences. Dental damage can happen at any stage of life, and we are qualified to place custom crowns for kids, teens and adults. Our dentists even use tooth-colored crowns when performing a smile makeover or full mouth reconstruction. Regardless of your reason for getting a custom crown, we are dedicated to helping you regain the healthy and confident smile you deserve. 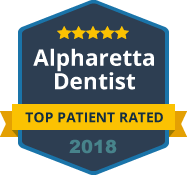 To learn more about our full menu of options for dental crowns, please contact ConfiDenT in Alpharetta. We are a modern dental practice that treats our patients like family!